Historical novels are not my favourite genre, as I tend to spend too much time looking for anachronisms, but C.J. Sansom seems to get around that. I first read his Winter in Madrid, set in the Spanish Civil War, and then [boo:Dominion], which is a kind of “what if” novel — what if the UK had surrendered to Germany after the fall of France in 1940? 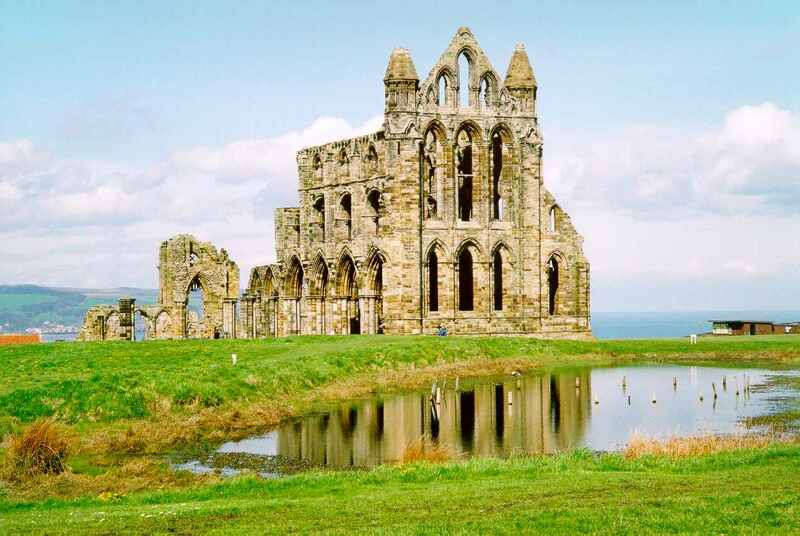 Dissolution is set in the period of the English Reformation in the 1530s, at the time of the dissolution of the monasteries, and is a combination of historical novel and whodunit, a genre popularised by Umberto Eco‘s The Name of the Rose. In Dissolution Thomas Cromwell, who masterminded the English Reformation, sends a commissioner to the monastery of St Donatus at Scarnsea on the Sussex coast to arrange for its dissolution and surrender. The commissioner is murdered, so Cromwell sends another, Matthew Shardlake, a lawyer, to continue the work of the first one and also to investigate the murder. I ought to know something about the English Reformation, but I don’t know as much as I should. When I studied church history at St Chad’s College, Durham, in the 1960s, it formed quite a large part of the syllabus, but it was not a period that particularly interested me. I was more interested in the missionary period, which, where historical novels are concerned, is covered by Melvyn Bragg‘s Credo. I suppose that’s why I became a missiologist rather than a church historian. Reading Dissolution reminded me of why I did not much like reading about that period of history, whether church or secular history. There is no doubt that the English Church wanted reforming, but the cure was worse than the disease, and C.J. Sansom brings this out clearly in his novel. None of the characters is particularly admirable. The protagonist, Matthew Shardlake, suffers from a physical deformity, which seems to reflect a spiritual deformity as well; he is naive and ambitious. He does have a sense of justice, but when push comes to shove, it makes way for ambition and political correctness every time. One of the things I did know about Thomas Cromwell was that he ordered the clergy to keep registers of baptisms, marriages and burials, which I have found useful for family history, among other things, but most of what he did seems to have been bad, and motivated by greed and ambition. I have little reason to suppose that C.J. Sansom got his character very wrong. So the book gives something of the flavour of the times, even if the actual events it describes are fictitious. But like much historical writing, whether fiction or non-fiction, it also carries “the burden of the present”. George Orwell‘s Animal Farm is an allegory, a parable about how revolutions consume their own children. It is set in a differnt period, and uses different literary techniques, but the same message comes through. The dissolution in the title of the book is not merely about the dissolution of the monasteries as institutions, but the dissolution of the people whose lives are disrupted in the process, and the dissolution of the English Reformation into a cesspool of corruption and greed. 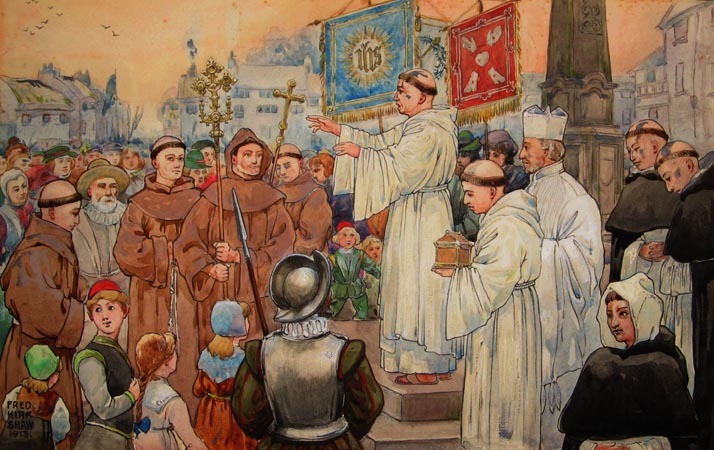 There was a protest against the dissolution of the monasteries, called The Pilgrimage of Grace, which tunred into a rebellion. It was defeated after its leaders were given a safe conduct to travel to London to negotiate, and were then brutally murdered. And so there is much in it that reminds me of the dissolution of South African democracy, twenty years after its inauguration, where the high ideals with which we began have dissolved into patronage, greed and corruption. Apartheid was South Africa’s Lent, 1994 was its Easter, the following 7 years were its Bright Week, and now it is winding down. The character in the book for whom I felt most sympathy was the exiled Carthusian, Jerome, who was regarded as mad and dangerous, but retained something of the original monastic ideals, and his integrity. Sad to reflect on the death of Canon John Fenton (Times obit). His gentle presence and sharp thinking sparkled, provoked, healed and stimulated on every level and with every kind of person. It was good to read the obituary to learn something more of his life after he had left St Chad’s, and especially before. He had taught New Testament at Lincoln and Lichfield theological colleges before becoming principal of St Chad’s the year before I went there. He later became sub-dean of Christ Church, Oxford. to borrow a gown, and a hood from Reading, which resembled, in a vague sort of way, the Natal BA hood. The Vice Principal seemed rather suspicious of it. We sat in the huge mediaeval dining hall, and the Vice Chancellor gave a chatty little speech of welcome, and then we all signed our names in the books provided. 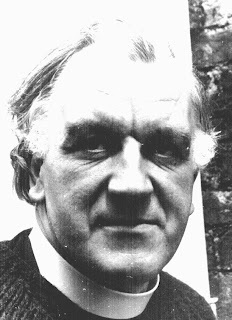 I found that John Fenton was a super bloke (“super” was a favourite expression of his), but theologically we were worlds apart. He was a fan of Rudolf Bultmann, who advocated “demthologising” the gospel. He gave me one piece of advice that I thought was very good. He said that when reading books and commentaries about the New Testament, one should concentrate on books that take a strong line, with opinionated authors, rather than the bland “consensus of scholarship” ones. So he always suggested books that took a strong Bultmannite line in reading lists. I preferred to read books like Brandon’s one on Jesus and the Zealots , which suggested that if Jesus wasn’t a guerrilla leader in the struggle against Roman imperialism, he at least associated with people who were. One thing that showed the breadth of theological difference between us was when he set me an essay on “Jesus and the demons”. I read it to him, and when I had finished, he said “But you haven’t told me whether you think demons exist or not.” I said I thought that the question whether demons existed or not was a distraction and beside the point. Bultmann would probably have said that demons were a primitive mythological element that must be excised to make the gospel relevant to modern man. But to me arguing about whether they existed or not was a bit like being run over by a bus, and lying there in the road wondering about the philosophical question of whether or not the bus existed. Coming from South Africa, where demonic political powers were oppressing the people in the country, arguing about whether demons exist or not seemed to typify the armchair theology of Europe. British theologians argued about the theology of Dietrich Bonhoeffer, but British theologians were not in danger of being hanged for treason by a demonic government, as Bonhoeffer was. When I got home to South Africa I mentioned this incident to John Davies, then Anglican chaplain at the University of the Witwatersrand, who had also been a student of John Fenton, only at Lincoln Theological College. He said yes, whatever the demons are, the important thing is that Christ has the mastery of them. It is sometimes said of zealous ecclesiastical reformers that they want to “throw the baby out with the bathwater”. But after my two years at St Chad’s I came to the conclusion that English theological reformers wanted to throw out the baby and keep the bathwater. And in many ways it was John Fenton who taught me this. The 1960s were a time of liturgical reform, and in my time at St Chad’s we swung from old Anglo-Catholic High Mass to the latest products of liturgical committees and back again, according to the whims of the senior common room (i.e. the college staff). Some of us students objected, and asked for some community discussion on the process, so that our worship could be an expression of the college’s life as a Christian community. On one occasion in a sermon John Fenton said that he wasn’t sure if he believed in the kingdom of God. We asked then, “If you don’t believe in the Kingdom of God, what’s the point of going to Matins and Evensong?” “Because yer’ve got to do it when yer get into a parish” he replied in his emphatic way. One student went to see John Fenton to express his concern about this. And John Fenton persuaded him that it didn’t matter. So the following occasion when there was a Solemn Evensong, on the eve of a major saints day, when students were expected to attend wearing cassock, surplice and academic hood, four of us went in our everyday dress (bright hippie stuff, back in 1968), because, after all, it didn’t matter. The principal had said so. But it turned out that it did matter very much. The next time the vice-principal (a German Jewish refugee from Nazism who had converted to Christianity when he fled to England) took two of us to lead evensong in a Durham mining village, he asked on the way why we had not been wearing wedding garments at Solemn Evensong the previous week. “Because we think it is a new form of circumcision, Father,” we replied. He said he disagreed, but did not say much more. The next time there was to be a Solemn Evensong, we received a message to say that we must be wearing wedding garments, by order. So at the time of Evensong we left our cassocks, surplices and hoods neatly folded in our places the chapel while we were in the college office duplicating our equivalent of the Ninety-five Theses, which we put in all the places in the college dining room at supper. It was a considerably milder protest than the student power riots in Paris. We weren’t ripping up the paving stones or buiilding barricades of burning vehicles. But it was a protest none the less. And the core of it was that if you throw out the baby (the Kingdom of God), then it makes little sense to keep the bathwater (Solemn Evensong with all the trimmings). Looking back on my two years at St Chad’s, I think that that was the main thing I learnt there — how to distinguish between babies and bathwater. It wasn’t in the syllabus, and I don’t think it was what John Fenton intended to teach. But it was what I learned. When I returned to South Africa, John Fenton wrote to my bishop to say that he couldn’t recommend me for ordination, because he couldn’t understand me at all, and had no idea what made me tick, and suggested that someone in South Africa should take that responsibility. So, as I said, our theology was galaxies apart, and we both knew it. But I liked him, and I think he liked me. We wrote to each other over the years and kept in touch in that way. I am glad that I went to St Chad’s and I’m very glad that I met John Fenton. He was a very kind and generous-hearted man, not least with people whose theological opinions differed greatly from his. So I say, may his memory be eternal. Spend! Save! Don’t spend! Don’t save! Every year the Church of England tries to underline ‘the real meaning of Christmas’ with a publicity campaign and every year it makes a hash of it. Indeed the sound of a Christian PR stunt backfiring has become a much-loved feature of the festive season. This year s headline the Bishop of Reading the Rt Rev Stephen Cottrell calls on the public to spend less in the shops just as the recession is biting and shopkeepers are searching anxiously for customers. Nice one bish. Over my career, I have seen thousands of consumers that have credit card lines in excess of their annual salaries. Some are sinking under their burden. Some have been fiscally responsible and have minimal amounts outstanding. My 21-year-old daughter, who’s in college, gets pre-approved offers all the time. She has no ability to repay debt, yet the offers flow in just the same. We all know how these lines are accumulated. The banks, in their infinite stupidity, keep upping credit lines because the customer pays the minimum payments on time. My daughter’s credit line started at $1,000 and has been increased over the last two years to $4,400. She has no increased earnings to support this. But the banks do it without asking. And without being asked. The banks reel in the consumer, charge interest rates higher than those charged by the mob, increase lines without the consumer asking and without their consent, and lure them into overextending. And we can count on the banks to act surprised when they aren’t paid back. Shame on them. You swipes your credit card and you takes your pick.